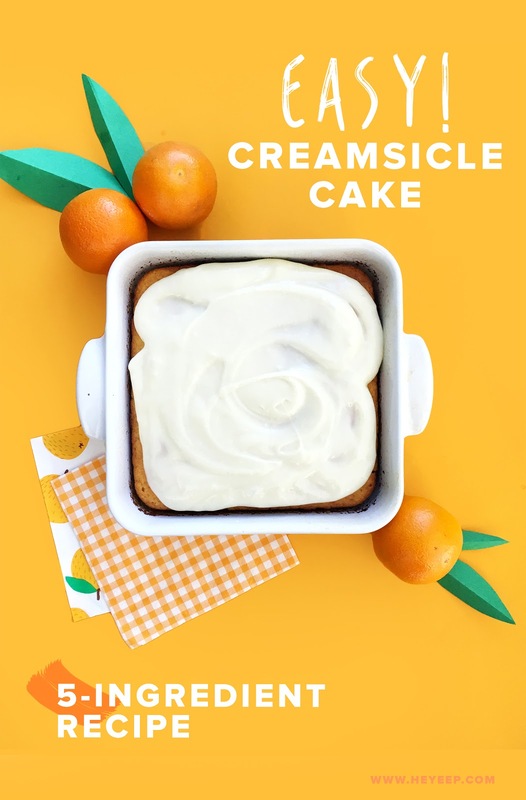 5-INGREDIENT CREAMSICLE CAKE! / Hey, EEP! 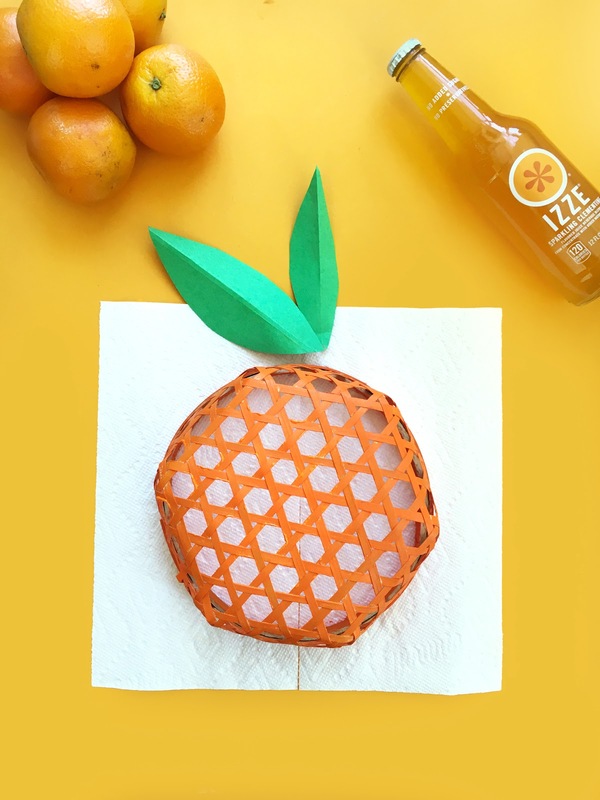 Orange you glad it's summer!? For me, once the sun's out and the barbecue's going, it's all about friends, family and fun. 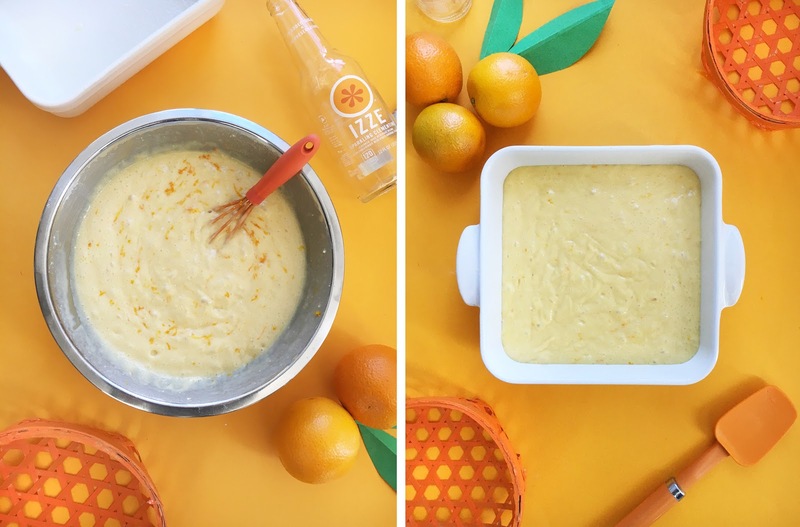 To kick off the season, I'm sharing an easy 5-Ingredient Creamsicle Cake and cute citrus-themed DIY project that you can share with your summer crew. Can't wait to hear what you think! Let's start with the craft, if that's alright with you. 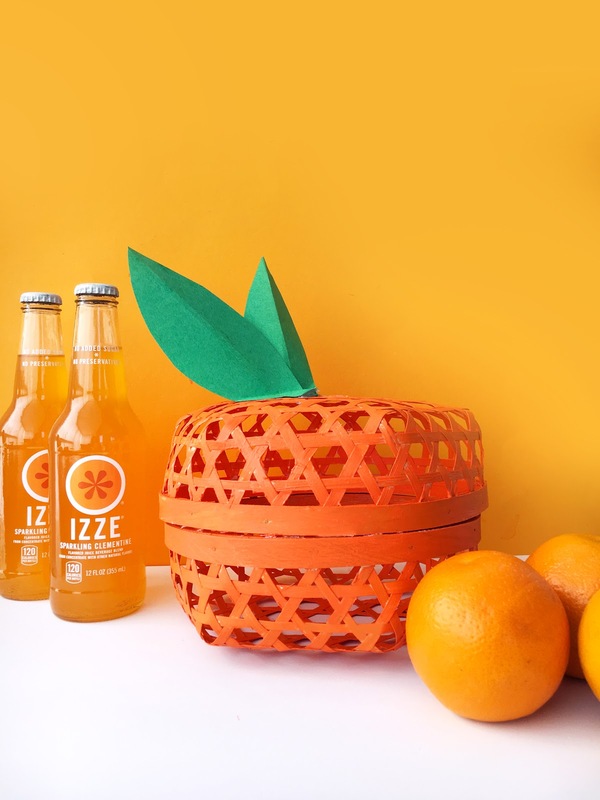 I wanted to come up with a cute way to package up some "Orange Your Glad It's Summer" treats for my friends. I came across these inexpensive baskets at the dollar store and had a total aha moment. 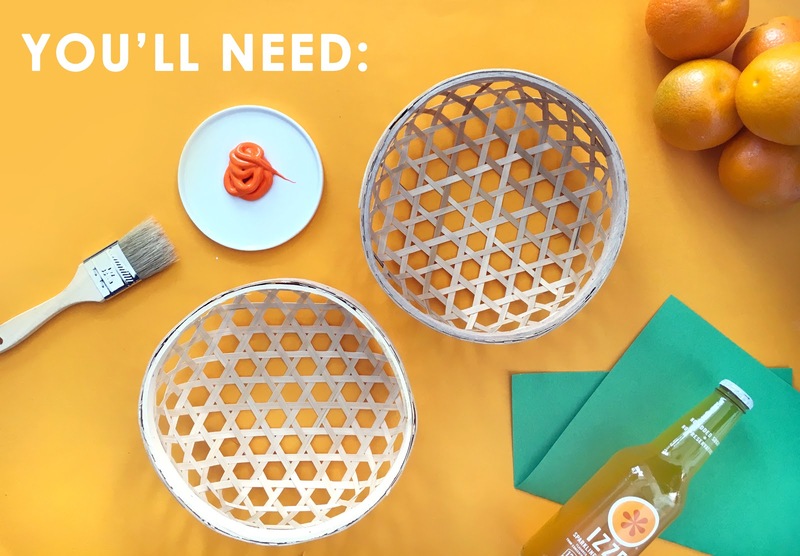 I decided to paint them orange and stack them to create wicker orange gift baskets! Honestly, it could be easier. First I painted them with orange acrylic paint. As a finishing touch, I just cut out some green instruction paper to make leaves. A little dab of hot glue holds them right in place. Now for my new favorite recipe! Guys, this magic recipe tastes EXACTLY like an orange hostess cupcake, one of my husband's favorite things in the whole entire world. Any other fans here? Actually! You know what? It tastes like that but 1,000 times better! 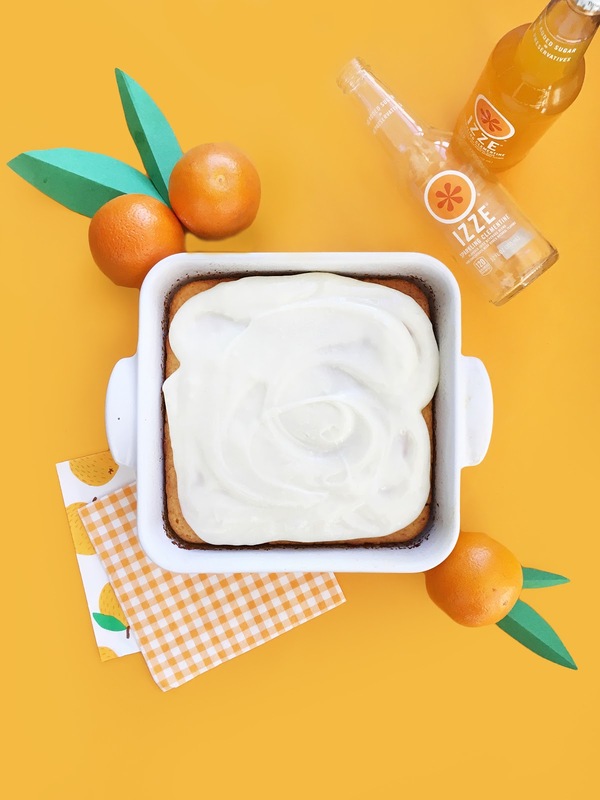 The base of the cake is one of my all-time favorite cake mix hacks: 1 box cake mix + 1 bottle IZZE Sparkling Juice. 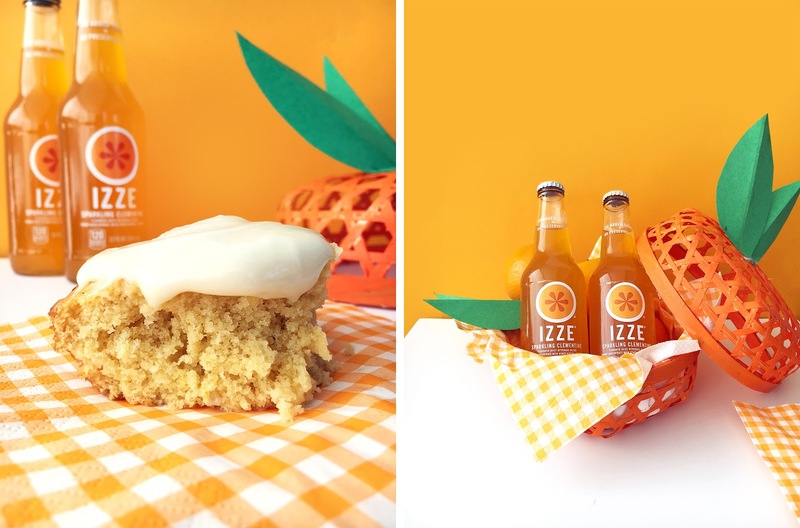 For this recipe, I went with yellow cake and IZZE Sparkling Clementine. Feeling fancy? Add some orange zest, too! 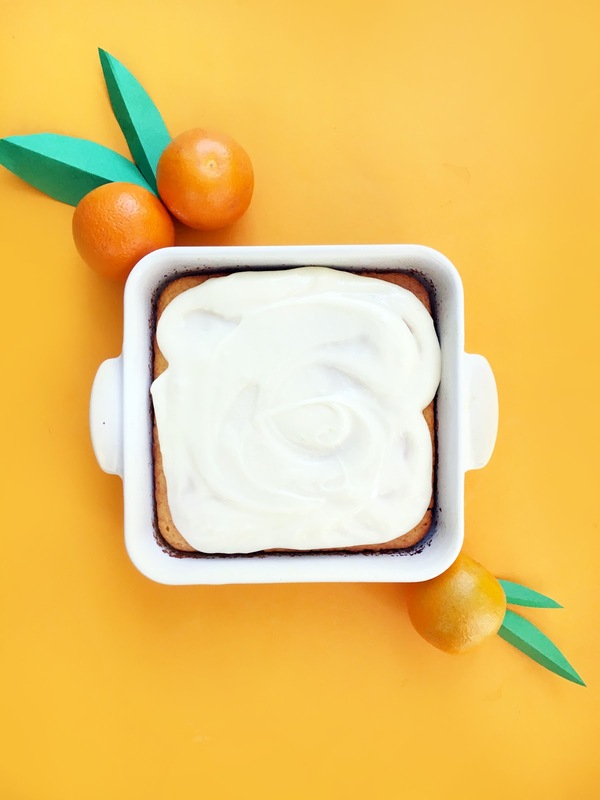 For the top, I made my easiest-ever cream cheese frosting. The trick is to make sure the cream cheese is really, really soft. Just leave it out in the hot summery kitchen while you make the cake base—that should do the trick! 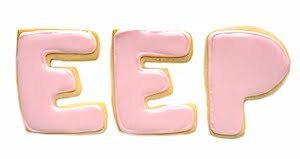 When it all comes together, this cake is sweet, zesty, tangy from the cream cheese frosting and super...sorry in advance but it's true so I have to say it...MOIST as hell! I love that these bundles are bright and bold for summer. 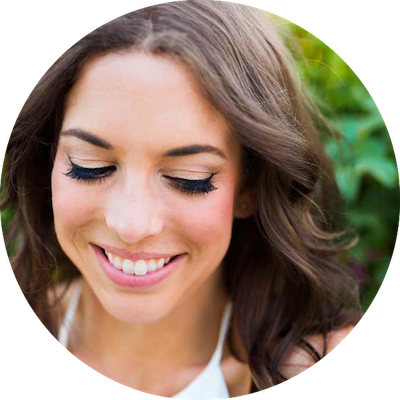 You can bring a package over to a friend's place as a hostess gift. I'm going to be straight with you. 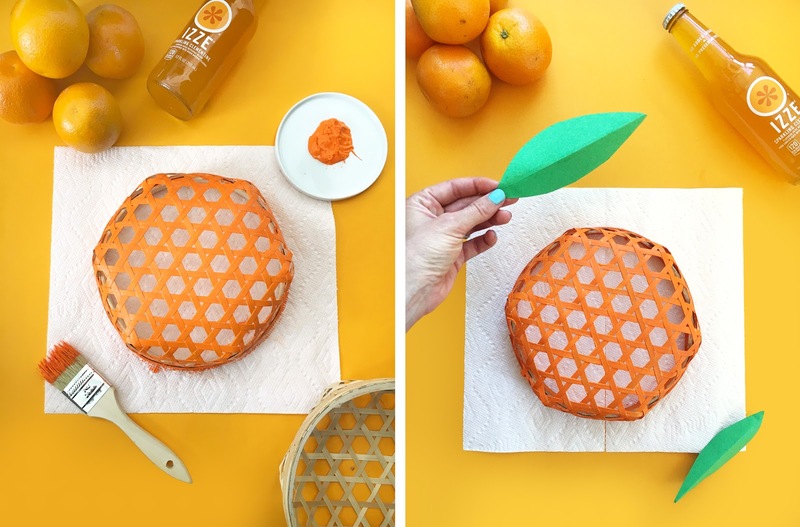 My original plan was to put squares of this ridiculously delicious cake in the orange baskets but they're too creamy, dreamy, soft and amazing for that to actually work. 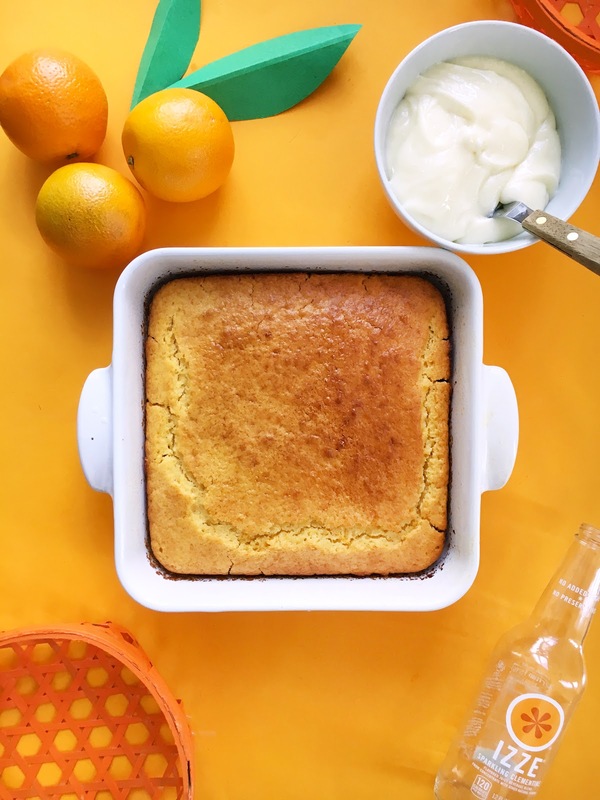 You could divide the batter among mini disposable loaf pans—I love these ones!—and make tiny versions of the recipe that'll fit without getting squished. 1. Preheat the oven to 350˚F and spray a 8-to-10-inch square baking pan with nonstick cooking spray. 2. 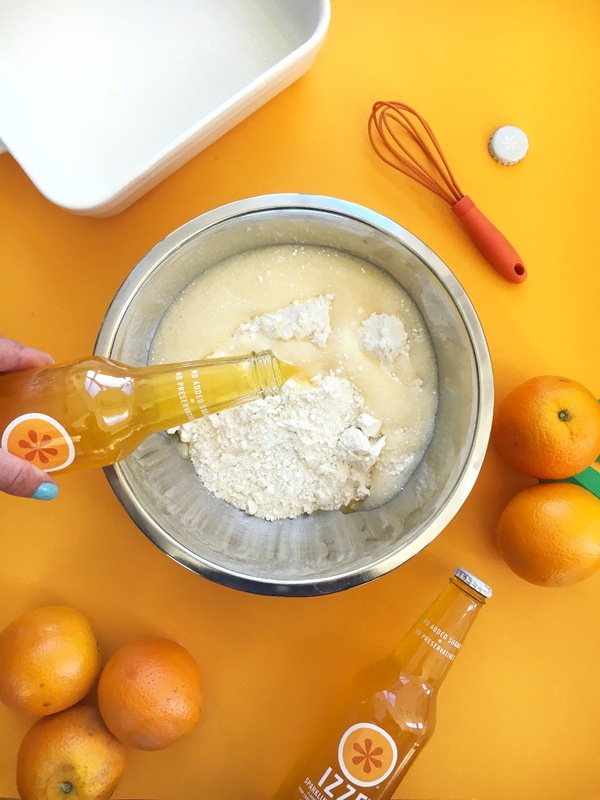 Make the cake: Mix the cake mix and IZZE Sparkling Clementine in a bowl until smooth. Stir in orange zest, if using. 3. Transfer the batter to the prepared baking dish and bake until golden, about 25 minutes. Transfer baking dish to a wire rack and let cool completely. 4. Meanwhile, beat the cream cheese and confectioners' sugar until smooth. 5. Spread the frosting on top of the cooled cake. Cut into squares.